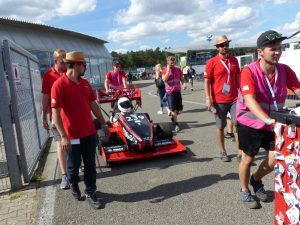 amotIQ automotive participated in the Formula Student Germany 2018 in Hockenheim where Mike Guthmann- for HHN Racing – drove the best time in autocross on August 11, 2018 . But not only that! 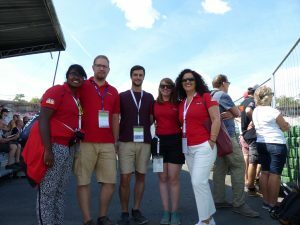 As a sponsor, amotIQ got the opportunity to experience highly committed students in the competition on site. 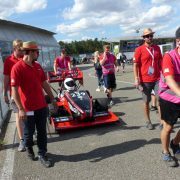 amotIQ experienced an exciting atmosphere at the Hockenheim Ring live and had good discussions with the students and other sponsors. 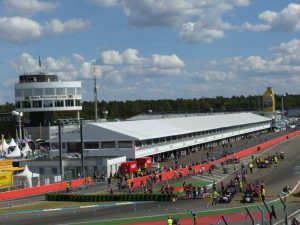 And all that, in beautiful weather! It was good to see that many amotIQ customers and business partners support the students as much as we do! 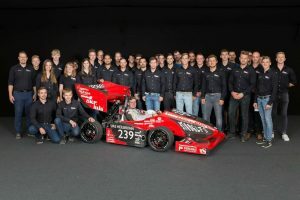 And although “our” team did not make it to the finish in the last round of the Formula Student Germany 2018 Hockenheim, HHN Racing had a successful season. 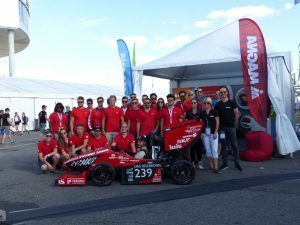 For amotIQ, the relationship with this very special Team does not end at this point. 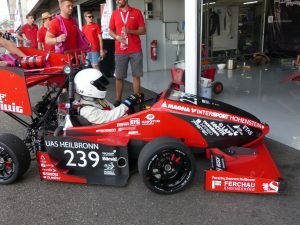 In rhe Picture below, in the race car, you can see Albert Renz, our student and colleague in his internship semester 2018/19. 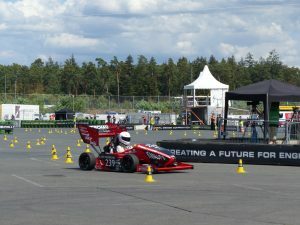 This year, racing cars with combustion engines, as well as electric vehicles and driverless cars competed against each other at the Hockenheim Ring. 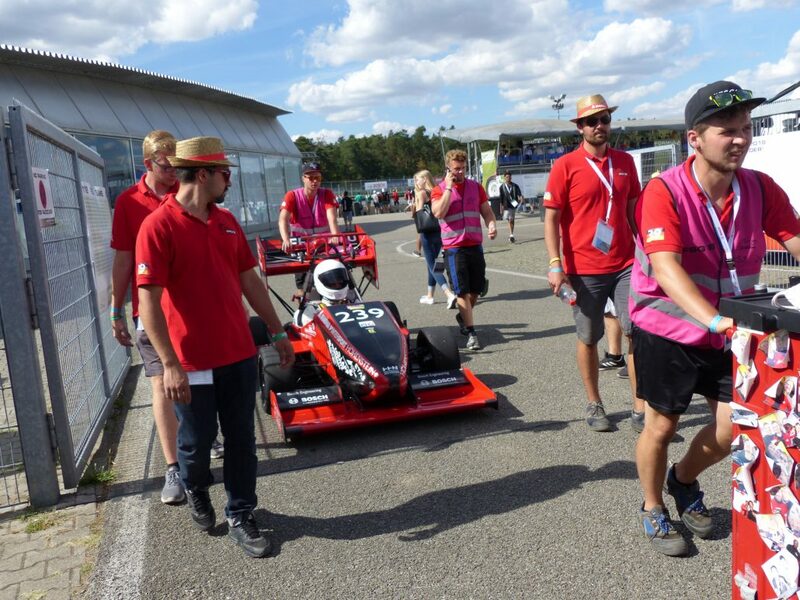 In the Video below, the HHN Racing driver drives 79.71 seconds – an impressive result.